Being a golf caddy is an odd job. You follow a person around who swings sticks for a living, giving them advice on what club to use, how far to hit the ball, what sort of shot to play and lugging their heavy bag around for them while getting almost zero credit. Imagine this as a video game, but a little bit more exciting. 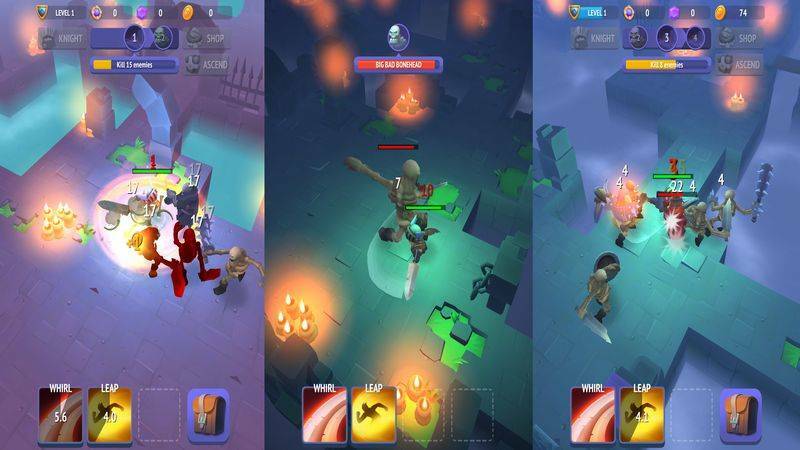 Flaregames’ Nonstop Knight is such a game, you follow the titular knight around dungeons as he slays enemies and bosses while making his way down the floors of a dungeon. He’s perfectly capable of doing this on his own, but your presence aids him as you watch over his battles. While not actually being directly involved in the action, you have to make decisions that make his descent through the procedurally generated levels easier for him. Has he picked up some new gear? Check it out. If it’s any good then equip it. Does he need to use one of his abilities to get through this area? Hit the button to activate it. Is his sword a bit on the weak side? Spend some currency to beef it up; that sort of thing. He’s the one getting the glory, but you’re the one making the decisions that matter to his progress. When you’re not making these decisions for him, he acts independently of you: cutting down swathes of enemies without nearly asking for your co-operation. He’s so independent in fact, that when you’re not playing he’ll carry on, and when you come back, he’ll have advanced a bit and have a bulging money bag waiting for you to spend on upgrades. There is a limit to this however, as no matter how long I had left it, he had only ever advanced two floors, but the quantity of monsters and value of coinage was always higher if the time away was greater. Progression isn’t linear either. At times the option to head back to the start comes up; this is known as Ascending. 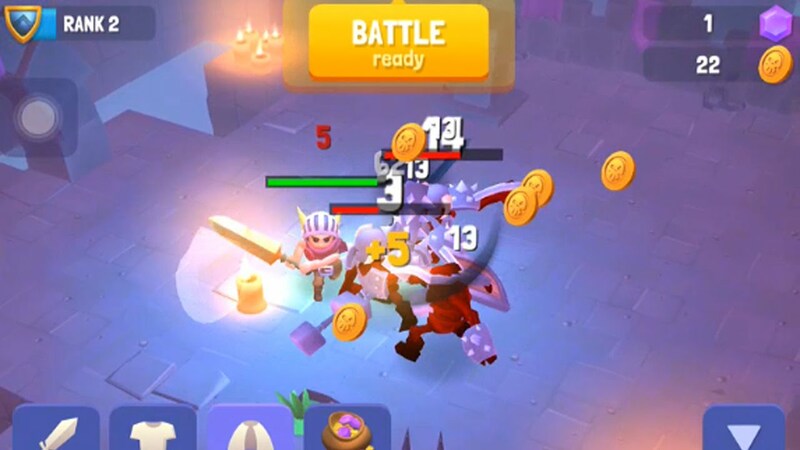 Doing this allows you to keep your level, but sacrificing gear and attained currency to gain tokens that are used to bestow permanent buffs to your Knight. These can improve damage, health, or increase the amount of money gained from enemies, so there’s always benefit in going back to go forwards. As well as this there are unlockable skills, which in turn have variants that are also unlocked by levelling up — these are also kept when you Ascend. As with all free games, there are the usual microtransactions asking you to buy this or that, and videos to watch to increase the quantity of rewards you receive, but at no point did I feel I had to partake in any of them. You’ll never be short of gear or coinage with which to improve your knight to overcome the obstacles in his path. 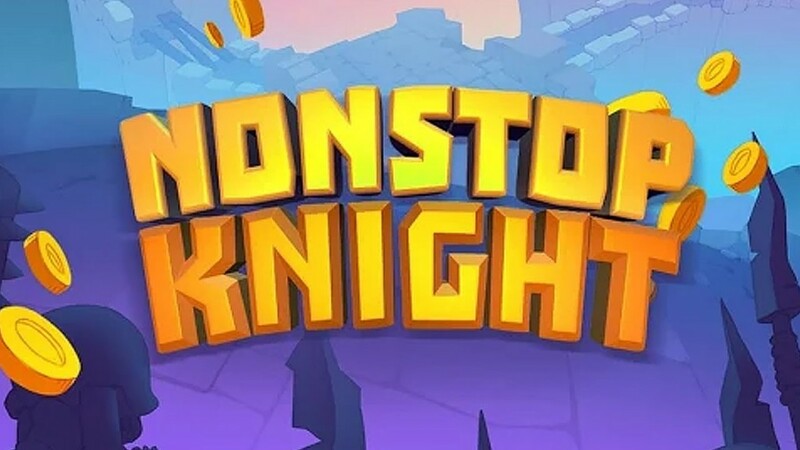 All in all, Nonstop Knight is a nice enough game, there’s a buzz when you get a new item, see a new enemy and make your gear insanely powerful, but you always feel like you’re not really part of the action. You’re just a caddy, strolling along behind making choices, but not actually being a part the events. Regardless of that, it can be easy to lose yourself in it for a few minutes on a regular basis, and considering it’s free, it’s well worth having a look. A nice little game to wile away a few moments of boredom now and then, if you can take not being the center of attention.